For those of you working in construction or with family members in this field, the prevalent and inherent dangers of this job come as no surprise. Construction sites are extremely hazardous, representing a number of safety risks. Though constructions workers make up no more than six percent of the workforce in the United States, they suffer more than one-fifth of all workplace fatalities. And due to the many dangers and hazards present at a work site, passersby run a risk of serious injury as well. The New Jersey Personal Injury Lawyers of the Law Offices of John F. Marshall are experienced and knowledgeable of construction accidents, and how to help victims recover just compensation. The injuries sustained by workers and innocent bystanders are often quite serious, with life-altering consequences. When a New Jersey construction worker is injured, his first recourse is typically workers’ compensation. However, these types of injuries are often quite costly and you may also pursue other avenues, such as a civil lawsuit for personal injury or products liability. In extreme cases, a wrongful death claim is warranted. Local and federal laws set workplace safety standards. When considering a personal injury claim, it’s important to determine whether your employer operated within these safety standards. Were the dangers you were subjected to unreasonable? Was there adequate safety training? 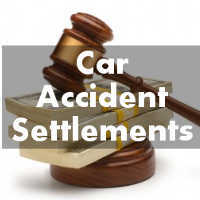 What parties may be liable for the accident? Many entities bear a responsibility to ensure the safety of workers who risk life and limb daily. If there is more than one contractor or employer and negligence played a role, you can sue for damages. The qualified team of personal injury lawyers at the Law Offices of John F. Marshall understand the distress of your situation, and we seek to alleviate this with personal attention and sound legal representation. New Jersey Construction Accident law is a complicated area. You need an attorney familiar with and skilled in managing the various legal options of personal injury and products liability torts and workers compensation. Our attorneys pursue all avenues in fighting to obtain maximum compensation for your physical pain and suffering, emotional trauma/anguish, any permanent disability, lost income and future earnings or reduced earning potential, and past and future medical costs. If you have been injured in a New Jersey construction accident, the Law Offices of John F. Marshall is available 24/7 to answer your questions. Call 1-877-450-8301 to schedule your free consultation.